72 Hook Motorized Tie and Belt Rack organizes and holds up to 72 ties and 8 belts. 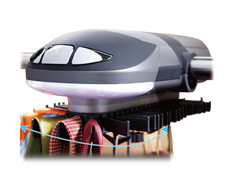 The motorized tie rack will rotate your ties in either direction at the press of a button. It mounts easily to most standard closet rods and the slim profile uses just 5.5-Inch of hanging bar space. Built in LED lighting illuminates when activated to help locate ties. Powered by 4C batteries. 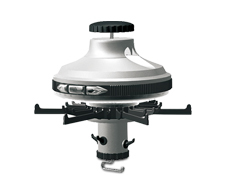 Measures: 18"L x 8"W x 4"H.
2.Regulation button for automatic circulation to move forward and backward. Zhuhai Kelitong Electronic CO., LTD established in 1998 and located in the beautiful coastal city Zhuhai. As professional manufacturer engaged in the research, development, production, sale and service, we are committed to manufacturing electric wine opener,wine cooler and other wine accessories,portable vacuum cleaner for car and home, electric golf cleaner and shoe polisher, motorized tie rack and pool cleaner.